Medical research methods are every year becoming more informative, less traumatic. They allow you to eliminate a wide range of diseases. 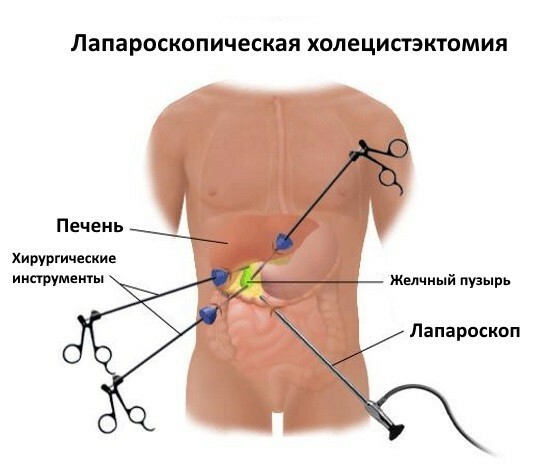 Laparoscopy of the gallbladder – one of the ways of research, which is considered the «gold standard» for diseases of the hepatopancreatoduodenal zone (region of the liver, pancreas, gall bladder). In addition to its diagnostic capabilities, the laparoscopic technique can be performed to remove stones from the gall bladder (another name of the operation – cholecystectomy). Laparoscopy of the gallbladder is to investigate with the help of small incisions in the abdominal wall. Their length does not exceed 15 mm, and the total number of not more than 4. This is achieved by the relatively low invasiveness of the operation. For example, conventional laparotomy, which gives the opportunity to assess the condition of the body that require tissue dissection to 200 mm in length. The study, despite a number of advantages, fraught with risks and therefore has clearly defined the indications. It should immediately be noted that laparoscopy is applicable for two main purposes – diagnosis and treatment. In some clinical situations, it is necessary to appoint it? The first indication of illness of organs of the hepatobiliary zone, which are very difficult to define or confirm using other methods. When the results of ultrasound, CT, MRI, x-rays, is not made clear to the clinical situation, it is advisable to Supplement the diagnostic plan by laparoscopy. In cases where a doctor suspects a neoplasm of the gallbladder, it shall appoint an laparoscopic examination. The disease is either confirmed or excluded. In the first case, you might also appreciate sprouted if the tumor surrounding tissue, and the stage that it is necessary to determine further tactics of conducting and treatment. From the diagnostic indications, it should be noted ascites – accumulation of free fluid in the abdomen. Laparoscopy from a diagnostic intervention turns into healing, since it is necessary to evacuate the accumulated exudate or transudate. Cholecystectomy – surgery to remove the gallbladder. 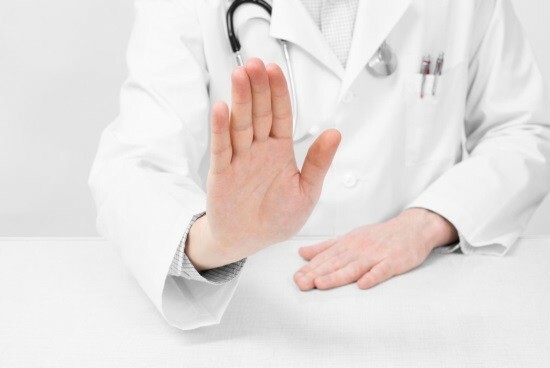 It is considered the most frequently executed manipulation by laparoscopy. In what situations such an intervention is shown? Cholecystectomy is becoming the medium of choice in chronic calculous cholecystitis. This is the gallstone disease (GSD) complicated by accession of the inflammatory process of the body wall. Before surgery should blood tests to assess the biochemical parameters, to perform ultrasound of internal organs, rentgenograficheskoe study (review the contrasting technique). Holsters gallbladder – another important indication for therapeutic laparoscopy. The disease often progresses clinically in the same way as cholelithiasis. Before performing the operations prescribed ultrasonic and radiographic study. The nonspecific symptoms: dyspepsia, combined with a paroxysmal pain in right subcostal region. In the presence of polyps in the mucosa of the gall bladder on its inner surface formed by the protuberances. They are benign, but can cause clinical symptoms. Not every polyp needs to be removed. Cholecystectomy is performed if the polyps combined with a family disorder of the bowel, accompanied by the formation of polyps, or polyps cause pain. With a combination of polyps with cholelithiasis, suspected malignant (rapid increase in size) is also recommended laparoscopic removal of the organ. Acute cholecystitis is an indication for emergency laparoscopy. First, the situation of trying to stabilize conservatively by infusion. 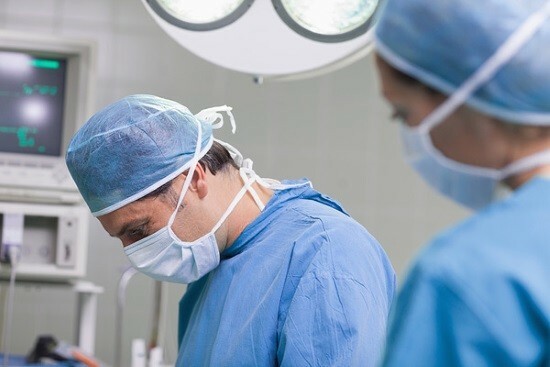 The ineffectiveness of measures gallbladder is removed, the improvement in the cholecystectomy should be deferred until the implementation in a planned manner. Preparing for surgery in the latter case, a more adequate and qualitative, which determines the best outcome of the intervention with minimal risk of complications. Cholecystectomy is not the only surgical correction under laparoscopy. To delete one or more gallbladder stones with chronic cholelithiasis without inflammation used choledochotomy. We are talking about the excision of the bile duct. There are a number of diseases and many conditions when laparoscopy of the gallbladder cannot run. These include how diseases of the body, and problems of the cardiovascular system, liver, kidneys. malignant neoplasm of the gallbladder (removal impractical, as the operation requires compliance with the rules and ablastic antiblastic). The above condition should be considered absolute contraindications. Relative can be considered as jaundice, acute pancreatitis, peptic ulcer, cirrhotic liver. The doctor in these situations decide on the feasibility of the study. Preparing for laparoscopic gallbladder takes place on the day before the meeting. In the evening the last meal no later 19 hours. This is followed by a cleansing enema. You can take a laxative drug. The next morning before the study, this procedure is repeated until clean wash water. On the morning of the day of the laparoscopic surgery can take liquid food. Whether to drink products, is to figure out either the doctor or the anesthesiologist. In the morning it is recommended to take a shower. At this time, the shaved hair from the anterior abdominal wall. Then, remove all jewelry, lenses, dentures. Immediately before anesthesia, the patient performed the premedication. It is aimed at reducing anxiety, fear, autonomic effects. Once done anesthesia (narcosis), proceed to the actual operation. The surgeon makes 4 puncture with a length of not more than 15 mm. With hepatomegaly (liver enlargement) possible additional fifth puncture. After the cavity of the abdomen fills with gas, it is possible to watch and assess the status of organs of the hepatobiliary zone. The gall bladder must be normal pinkish color, serosa should Shine. Maybe its the haze of tarnish. It speaks of purulent lesions of the body. Often show bumpy blend, which is adherent to the surrounding tissues. So look malignant lesions. Upon detection of a pathology the doctor may expand the scope of the intervention. During the operation, laparoscopy is complemented by a laparotomy incision. Then the incisions are sutured. Approximately one stitch for each of the 4-5 sections. About how much is laparoscopic gallbladder, you need to know directly in clinics. Before its implementation should go through a number of studies. 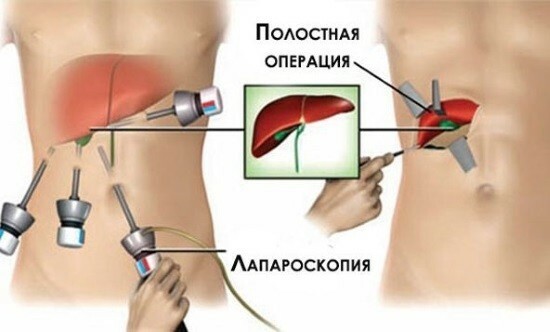 Today laparoscopic examination of the gallbladder is appointed by the doctors often. Patients themselves also speak positively about this method. Indeed, it is convenient because of its low invasiveness, low risk of complications and fast rehabilitation. How long is laparoscopic gallbladder removal? Fever after laparoscopic surgery: could it be, what to do?